Deccan Odyssey Train is an odyssey in real sense. This journey unveils itself in the form of unforgettable surprises waiting to overwhelm a tourist at every stop. Trailing around the heritage of Maratha land, prominently belonging to the great Maratha king Chhatrapati Shivaji, the train chugs through an alluring combination of natural wonders, pilgrimages, beaches, historic monuments and ancient caves. 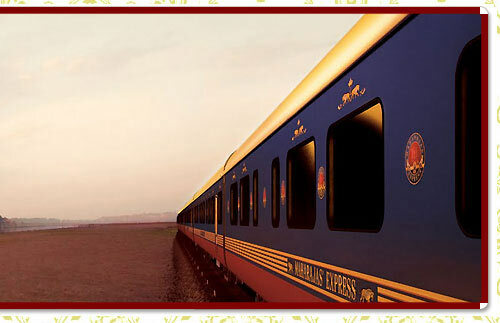 Inspired by the unique Deccan Forts of the plateau region, this train is a luxury hotel on the move. The spacious presidential suites, gymnasium, spa, business facilities, fine dining restaurants, and bar lend this luxury train a hint of elegance and contemporary touch amidst the heritage of Maratha land. Transfer to Malavan Jetty from the station by a Luxury AC Coach. Settle in a comfortable boat, organized just for you to enjoy the mesmerizing view of flora, birds and caressing waves on the ride to Sindhudurg Fort - a spectacular Sea Fort, which served as a one time naval base built by the Chhatrapati Shivaji, the great Maratha ruler in 1664-67 AD. One of the best preserved heritage of Marathas, this fort is a must visit site to experience the royalty of this Hindu Dynasty. The fort premises include the temples dedicated to Bhavani, Mahadev, Jarimari, Mahapurush and Shivaji. A stroll through this two-mile long fortified structure offers you a breathtaking panorama of the vast sea blues. This fort also serves a home to some twenty Hindu-Muslim hereditary families. Return to the Malavan jetty and proceed to Tarkarli beach resort. Tarkarli is a virgin beach at the confluence of River Karli and Arabian Sea. The major attraction of visiting this beach is the long and narrow coastal stretch of pristine water. The picture perfect beauty of treasured Tarkarli comprises of a wide river, tiny islets, villages, beautiful sailboats, etc. Hereby, a natural wonder of Tarkarli awaits you during your Deccan Odyssey Train tour on Day 2. Relish a relaxed and sumptuous lunch at this well-appointed MTDC beach resort, giving you a real Konkani feel through its twenty style cottages. Afternoon visit a Cashew factory and observe a local venture and its working. Absorb their spiritual side through a devotional visit to the ancient temples of Bhagwati and Sateri Goddess Temples at Dhamapur Village. Leave for Kudal Railway Station. Dinner aboard. Morning arrive at Karmali - Goa, one of the most frequented tourist spots of India. Board the bus from Bombay to Goa and see remains of St. Augustine Church of Old Goa, once the largest cathedral of the smallest state. Next on the church heritage of Goa comprises a visit to the Basilica of Bom Jesus. This 16th Century Church is revered amongst Christian Diaspora as it enshrines the mortal remains of St. Francis Xavier. Se Cathedral and the Church of St. Francis of Assisi also form a must visit Church Circuit of Goa. A stroll through Fontanhas, the Latin quarters at Panjim acquaints you to the Goan antique culture. Centuries old Portuguese Style Houses can also be seen on this walk through the vintage charm of Old Goa. Departure for Verna Railway Station for scrumptious Goan lunch on board the train. Leisure time on-board. Evening depart by bus to beach hotel and enjoy Goan culture and traditional meals. Board the train from Madgaon railway station. Train halts at Vasco-Goa. Morning - After morning meal, proceed for exploring the unknown colors of Goa. Visit Mangeshi, a Hindu Temple devoted to God Shiva and explore the typical temple architecture of old times. Leave for Safa Masjid, a prominent Islamic mosque in Ponda. Built in 1560 by Ibrahim Adil Shah, the Sultan of Bijapur, commonly regarded as the citadel of pilgrimages in Goa. From here, move towards one of the biggest and finest spice farms in the country - 'Sahakari Spice Farm' at Ponda Village. Situated among the lush green forests of Ponda, this place is a popular amongst international tourists for its wealth of spices. You will be welcomed as per Konkani traditions at the entrance of the farm. After a brief halt in the restaurant for welcome drink and snacks, begin with your guided tour of the farm. This organic spice farm is bestowed with an amazing wealth of herbal and medicinal trees. The guided tour revolves around scouting various spices plants and deriving the knowledge of their medicinal usage. During this 45 min walk inside the farm, you can even understand the requirements for planting your own spice garden. Typical Goan lunch with aromatic spices sourced from this farm is served here. In the free time, you can also climb on an Elephant ride at own cost. From Spice Farm House, proceed to one of the finest heritage houses of 16th century Goa - "Menezes Braganza House". This is one of the last remaining structures belonging to the pre-Portuguese era in Goa transporting you back in time. This heritage house is one of the oldest properties of Goa and has been the traditional family home of the Braganzas for more than four centuries. From Braganza House, proceed for Madgaon Railway Station to board your Deccan Odyssey Luxury Train. Next destination on your Deccan Odyssey Train Tour is Kolhapur in Maharashtra. Dinner aboard. Morning - Arrive Kolhapur, a city filled with multifaceted personality. Boasting a strong mythical past, this city tour offers a unique blend of culture, nature, history & industry. Located on the banks of river Panchaganga, a tour to Kolhapur reveals that the city has lived under the influences of various rulers from the ancient era to the modern age. Board the Luxury bus to visit The New Palace, an erstwhile royal palace partly converted into museum. This museum gives glimpses of rare paintings and artifacts used by the royal family. Royal weapons and tableau of previous century's court life create an aristocratic ambience. Next on the Kolhapur city tour is a visit to Bhawani Mandap (The Town Hall). This hall displays the antiques unearthed during the excavations at Brahmagiri, ancient sculptures, old coins, filigree work in sandalwood and ivory and paintings of master artists of this region. Then move on to see an exquisitely carved Mahalaxmi Temple for which Kolhapur is famous and revered worldwide. Dedicated to Goddess Ambabai, this pilgrimage is visited by millions of devotees throughout the year. After experiencing spirituality in the goddess temple, proceed to Shalini Palace, a grand palace built on the west bank of Lake Rankala during pre-independence era. Surrounded by towering palm trees and lush green gardens, this palace offers a serene side to Kolhapur city. The quaint charm of this palace can also be experienced through its huge clock tower, Belgian glass etchings, and stain glass arches. Witness Traditional Martial Art form locally known as "Mardani Khel" at the Palace accompanied with a cultural programme. Leisure time in Kolhapur can be dedicated in purchasing some souvenirs of the city including famous franchise of Kolhapuri Chappals, Kolhapuri Sarees, leather sandals, jewellery, etc at the stalls of Shalini Palace. Afternoon, board your Deccan Odyssey at Kolhapur Station. Lunch and Leisure time onboard. Proceed by road to visit Majestic Fort of Daulatabad. Rising significantly over 600 ft above the Deccan Plain is the arresting panorama of Daulatabad. Previously known as Devgiri, this fort served as the head quarters of the powerful Yadava rulers. In the 13th century, Mohammed bin Tughlak, the then Sultan of Delhi, made it his capital and renamed it Daulatabad - The City of Fortune. 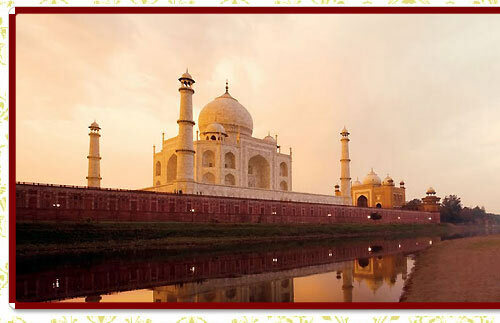 Aurangabad named on Aurangzeb, the Mughal ruler, is dotted with a number of monuments, tombs and Buddhist Caves. Next stop of Deccan Odyssey Train is Ellora Caves, a World Heritage site famous for its 34 cave temples devoted to three different religions - Hinduism, Buddhism & Jainism. Excavated out of the vertical escarpment, these cave temples and monasteries at Ellora are arranged in a linear arrangement. The cave complex consists of Buddhist Chaityas or halls of worship, Viharas or monasteries along with Hindu and Jain temples. Spanning a period of about 600 years between the 5th and 11th century AD, the earliest excavation here is of the Dhumar Lena (Cave 29).The most imposing excavation is, without doubt, that of the magnificent Kailasa Temple (Cave 16) which is the largest monolithic structure in the world. Lunch & free time. After lunch move on for sightseeing of Bibi-ka-Maqbara, modeled on the Taj Mahal is a grand piece of Mughal architecture. On the way back, pick a perfect memorabilia in the form of Paithani, Bidriwork and Himroo from exclusive showrooms. Evening enter the Deccan Odyssey train from Aurangabad railway station. Dinner on board. Morning - Arrive Jalgaon railway station and Board the bus to reach Ajanta Caves. The Buddhist Caves at Ajanta also are a world heritage site. Belonging to the 2nd century A.D., these caves depict the brilliance of the artists who used these rock cut caves as a canvas to their imagination. These famous and finest paintings of Ajanta include 'Bodhisattva Padmapani', 'Bodhisattva Avalokitesvara', 'The Birth of the Buddha' and 'Thousand Buddhas', besides the rare combine of fine murals & sculptures. At noon, board the train at Jalgaon railway station. Proceed towards the spiritual city of Nashik. Lunch aboard. Leisure Time onboard till evening. Board the bus for departure to Panchawati Ghat - a sacred spot known for Kumbh Mela. Next, visit to Kala Ram Temple built in 1794. Evening board the Deccan Odyssey train at Deolali railway station. Farewell dinner on-board. Morning - Arrival at Chhatrapati Shivaji Railway Terminal in Mumbai and cherish the lingering moments of the Deccan Odyssey Train forever. (Half fare for children between 5 and 12 years) Tariff Subject to change without notice. 10% Surcharge shall be levied on departure during Christmas/New Year. Any leg of minimum of 3 nights subject to availability will be given at the above-mentioned rates. Thus, Mumbai-Goa (3 nights, checkout after breakfast at Goa) and Goa-Mumbai (4 nights, morning check-in at Karmali) sector will be sold as available segments to clients. Govt. Service Tax is applicable on the gross ticket value.